The startup Hims prescribes generic Viagra and other medications online. The trendy men's health startup Hims sells generic Viagra and other prescription medications online. Splashy ad campaigns have propelled the San Francisco-based company to prominence, and towards a $1 billion valuation. But a Hims-led effort to expand the number of online patients whom doctors could treat with generic Viagra has sparked concerns among some doctors who work with Hims. Those doctors worried that Hims may be pushing them to write more prescriptions. Some clinicians said late last year in an internal poll that they felt patient care was deteriorating. Hims executive Melissa Baird says that there is no pressure to prescribe. Hims' Baird told Business Insider that the original erectile-dysfunction guidelines had been overly conservative. "The level of patient care and safety on hims' platform is best in class in accordance to all medical and clinical standards," Hims said in a statement. Business Insider is the first to report on the change in prescribing protocols and the physician concerns. This is a preview of our full investigation, which is available exclusively to BI Prime subscribers. That's the promise behind the trendy men's health startup Hims, which says its online platform is making medical care more available for men with stigmatized health issues such as impotence and hair loss. You've probably seen the splashy ads featuring stylized eggplants and cacti (a winking nod to Hims' work in erectile dysfunction), and even the rapper Snoop Dogg. With these high-profile campaigns, the San Francisco telemedicine startup has vaulted to prominence, and is reportedly nearing a $1 billion valuation. But Hims' approach triggered concerns among some doctors working with the company after the startup led an effort to expand the number of patients that physicians could treat with generic Viagra online, according to secret messages among clinicians and a person familiar with the matter. The clinicians are employed by Hims' independent medical partner, an organization called Bailey Health. But the move prompted worries among some doctors that Hims might be pressuring them to write more prescriptions in a more lenient manner. Erectile dysfunction can also be a sign of more concerning health conditions, which might not be diagnosed or treated in an online visit, according to an outside expert. Read the full Hims investigation exclusively on BI Prime. This story is based on secret messages among clinicians and internal documents reviewed by Business Insider, as well as conversations with current and former Bailey Health doctors. Business Insider also spoke with Melissa Baird, Hims' chief product and operations officer, and Dr. Peter Stahl, a Hims medical consultant. Requests for comment from Bailey Health were not returned by two individuals there. Hims said in a statement that "this narrative is patently false" and said that the level of patient care and safety on its platform was "best in class." Hims also emphasized the distinct and separate status of Bailey Health. "Any claims that are made to the contrary are categorically false, and intentionally aim to undermine the credibility of safe, effective protocols set forth in telemedicine and the medical community at large," the statement said. "hims has always made clear to physicians that each physician must prescribe according to his or her own, independent clinical judgement and that the safety of patients is paramount. 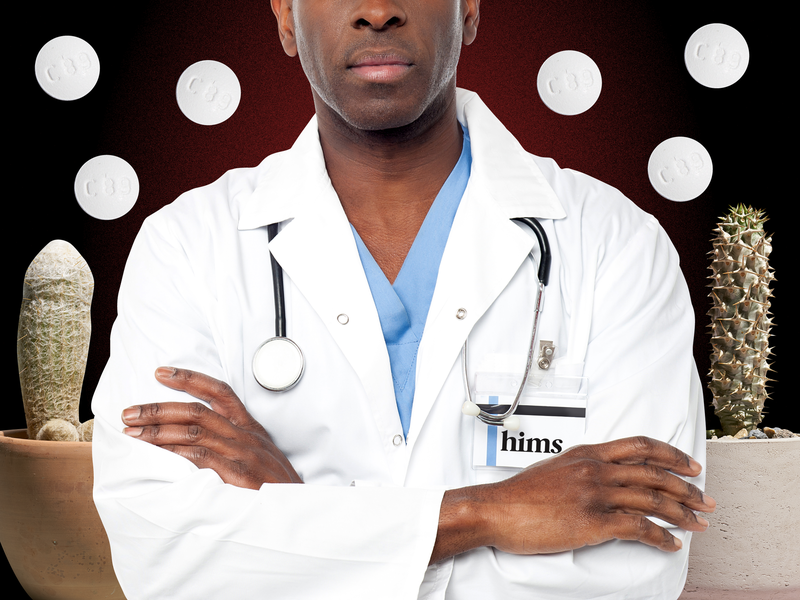 There are no penalties or negative repercussions of any kind for any physician based upon their prescribing rates." Read Business Insider's full story on Hims, available exclusively to BI Prime members.